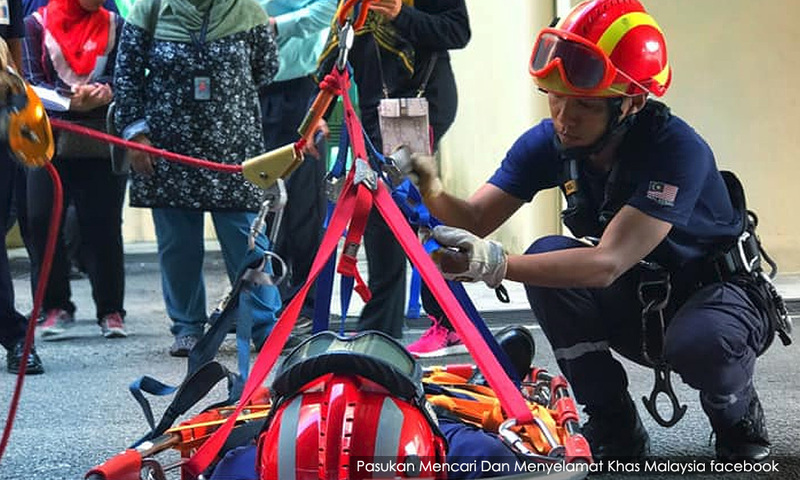 The Special Malaysian Disaster Assistance and Rescue Team (Smart) will be a mentor to the Brunei rescue team that wishes to get recognition from the International Search and Rescue Advisory Group (Insarag), said Deputy Prime Minister Dr Wan Azizah Wan Ismail. Smart received the Insarag recognition in 2016, she said when visiting the Smart headquarters in Pulau Meranti, Puchong near here today. Wan Azizah said the recognition enabled the search and rescue team of a country to assist in rescue missions abroad. She said Malaysia and Brunei were currently in talks to establish a memorandum of understanding (MOU) on the matter, which was discussed during her official visit to the country in February. Smart, which was set up in 1997, has assisted Indonesia, Turkey, India, Pakistan, the Philippines, Ukraine, and Nepal in various search and rescue operations as well as humanitarian missions. "Smart personnel are Malaysia's unsung heroes who are not so well known but their role is to save lives and their status is world-class. "We cannot forget Smart's role during the tropical storm Greg which hit Sabah in 1994, the Mount Kinabalu earthquake in 2015, the Penang landslide in 2017, the MH17 tragedy in Ukraine and the latest, in Pasir Gudang for the chemical waste pollution from March 14 until the operation ended," she said. Meanwhile, Wan Azizah expressed disappointment over the move by BN members of parliament who abstained from voting on the Constitution (Amendment) Bill 2019 in the Dewan Rakyat last night. The Bill to restore the status of Sabah and Sarawak as equal partners with Peninsular Malaysia failed to get the required two-thirds majority support in the Dewan Rakyat. A total of 138 MPs voted for the amendment while 59 abstained. "I feel disappointed because during the debate session, they seemed to agree. We (government) want Sabah, Sarawak and the peninsula to be equal (partners),” she said.